iotacons: New York Times Sports Section iotacons! New York Times Sports Section iotacons! 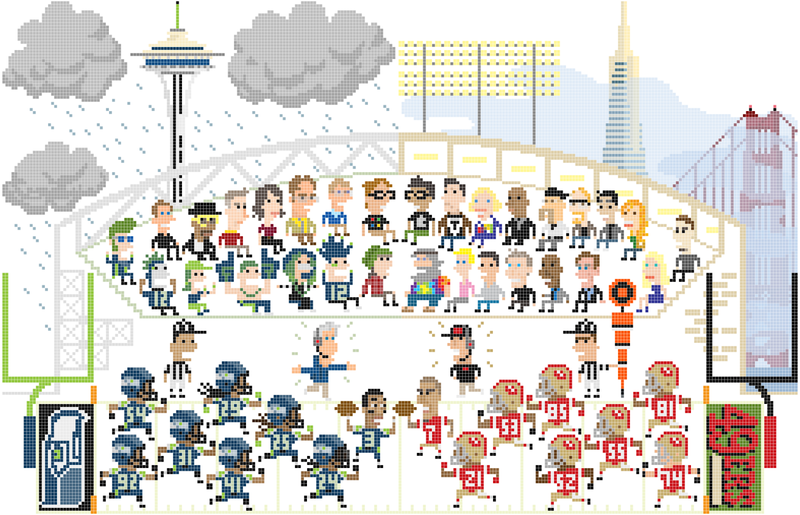 Here is an illustration I did about the Seahawks 49ers rivalry. Thanks to Lee Yarosh for giving me this fun assignment! Click on the image to see it bigger. Link to the article below. Rebel Perfection Star Wars iotacon Quilt! The Wire iotacons Printed Leggings!